Recall & training accessories and whistles. 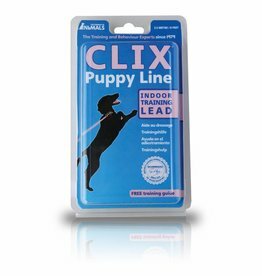 Company of Animals Clix Dog Lightweight Recall Line 5m .A secure and versatile product, this recall line gives your dog the illusion of freedom even though it remains under your control. 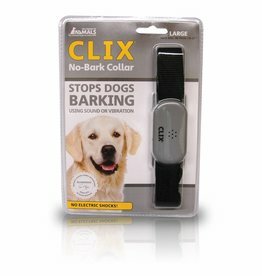 Company of Animals Clix Dog Multi Clicker, with a unique and patented volume/tone control enabling you to clicker train even sound-sensitive dogs. CLIX Toilet Training Bells - Toilet training can be a daunting task for dogs and their owners, however, the CLIX Toilet Training Bells are a simple solution! Company of Animals Clix Dog Training Multi Purpose Whistle. 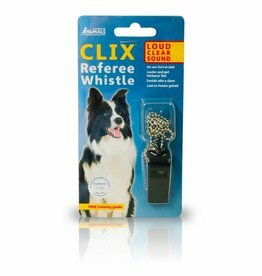 A good all-round whistle which will suit both the pet dog owner and professional trainer. Clix Dog Training Plastic Whistle. This traditional two tone whistle is both durable and multi-functional, and is suitable for all dog training needs. 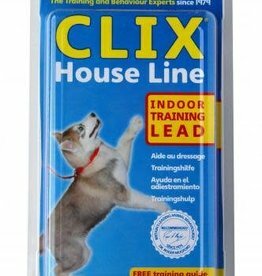 Company of Animals Clix Dog Training Pro Train Treat Bag. With generous storage and a variety of features, this multi function bag is designed for the serious owner or trainer. 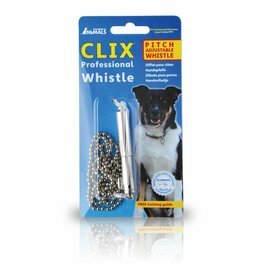 Clix Dog Training Professional Whistle A comfortable ergonomic design producing a loud, clear whistle. Engineered in steel with lanyard and protective cover. 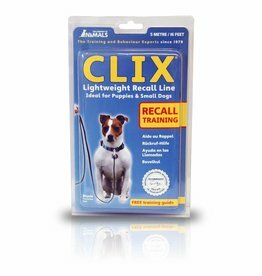 Company of Animals Clix Dog Training Recall Long Line. A secure and versatile product, this recall line gives your dog the illusion of freedom though it remains under your control. Company of Animals Clix Dog Training Target Stick. This telescopic Target Stick is a key accessory for clicker or other forms of training. 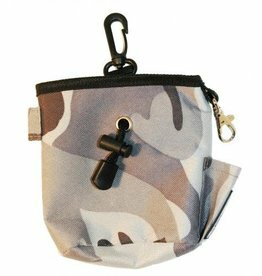 Company of Animals Clix Dog Training Treat Bag, in a Camouflage design. A very practical treat multi purpose bag which has been designed with many useful features. Company of Animals Clix Dog Training Treat Bag, in Purple. A very practical treat multi purpose bag which has been designed with many useful features. Company of Animals Clix Dog Training Treat Bag, in Red. A very practical treat multi purpose bag which has been designed with many useful features. 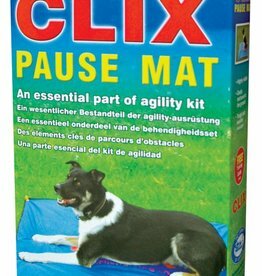 Company of Animals Clix Dog Training Whizzclick. This unique training aid combines two of the most popular tools, a clicker and a whistle, making it a vital training product. Clix Referee Dog Whistle. The perfect all round training whistle. It has a loud, clear sound which makes it ideal for both recall training and distance control. Company of Animals Clix Training Dog Dumbbell are ideal for retrieval training and other interactive games.